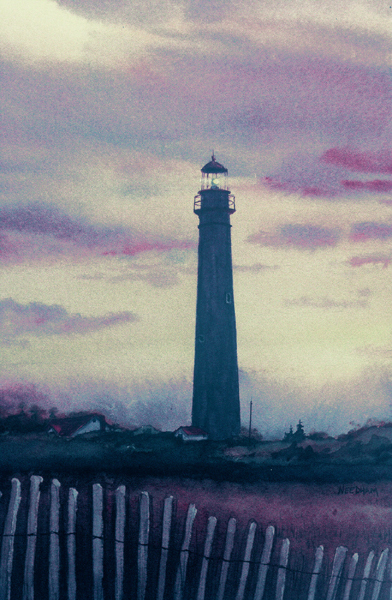 The Cape May Lighthouse soars above the flat, sandy New Jersey coast and the blue Atlantic beyond. Built in 1859, the distingive white tower still guides ships along the coast and into Delaware Bay. Perhaps the tower’s beauty and the romantic nature of its ocean setting account for its apparent influence on young lovers. Over the years numerous marriage proposals have been offered and accepted in the lantern room.